What is your business dream? At Kathy Rollinger Consulting we’re in the business of providing you the services you need to achieve your dreams. It’s easy to become so busy that you forget your initial dreams. What did you want to achieve when you set out in business? Are you getting there, or is it just a daily grind? We know you have a lot of choices when it comes to accounting services. And we know that almost every business owner really wants someone who will help you understand your financial information, not just pay for compliance work. Even If You Don’t Work With Us…. We’re confident that even if you decide not to work with us, you’ll still get value from our business review meeting. If you don’t know fully understand where your business finances are, it’s going to be hard to know where you want to go. We are here to help you with the financial side of your business and can guide you to financial success. 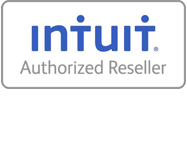 We support QuickBooks Online and QuickBooks Desktop, Pro to Enterprise and every edition in between. There are some significant differences between them, let us help you evaluate which one would best suit your needs.